No need to wait for the luxury that awaits you at one of Middleburys most sought-after communities. This newer community resale (2015) is available now without the wait and hassle of a new construction build. This home is located on one of the highly desired premium lots so no one can develop behind you. You will be instantly impressed as you walk in by the cathedral ceilings with recessed lighting and the upgraded true hardwood floors that are not available in other units. The premium upgraded kitchen that features a double oven, upgraded cabinets and more. This unit features a first-floor master bedroom suite with upgraded shower and walk-in closet. It also has a 1200+ square ft. walkout basement with rough in plumbing for a full bath that offers tons of potential for whatever room you can imagine. The Luxury Clubhouse features: Gym Facilities, great room, game room, pool table, state-of-the-art fitness center, sun deck and indoor basketball half-court, heated outdoor swimming pool, kiddie pool, tot lot, and tennis court. Come take a look at everything that this beautiful unit has to offer! Call today for your private showing. This 2 bedroom, 3 bathroom Townhouse/Villa for sale is currently listed for $349,900. It was built in 2015. It has been on Coldwell Banker for 150 days. This listing is provided courtesy of WEST VIEW PROPERTIES, LLC. Looking for more homes for sale near this one? 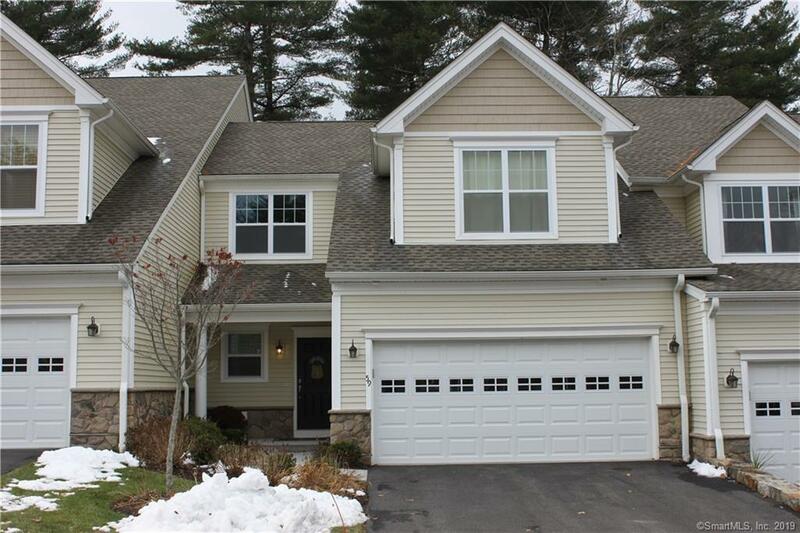 View all Middlebury, CT homes and connect with local real estate agents.